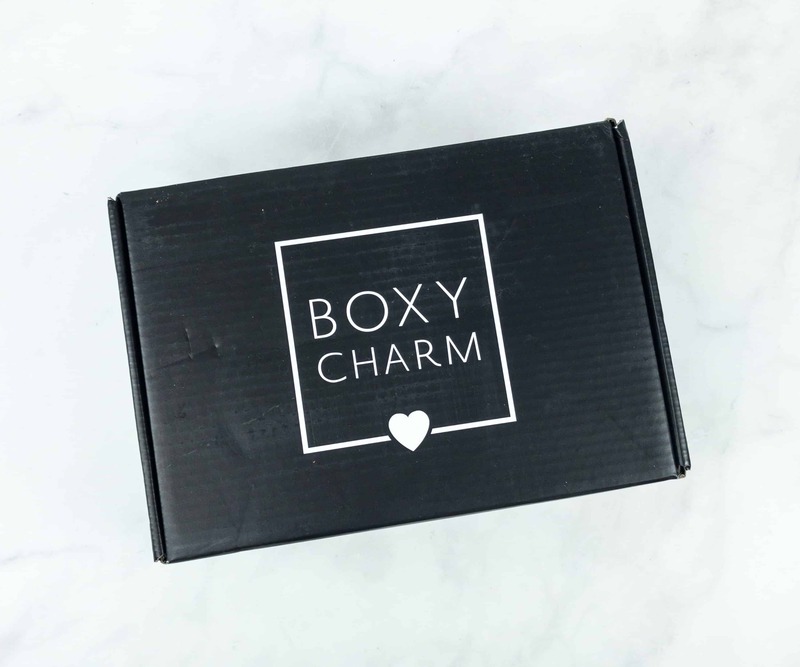 This is a review of the upgraded quarterly BoxyLuxe subscription. 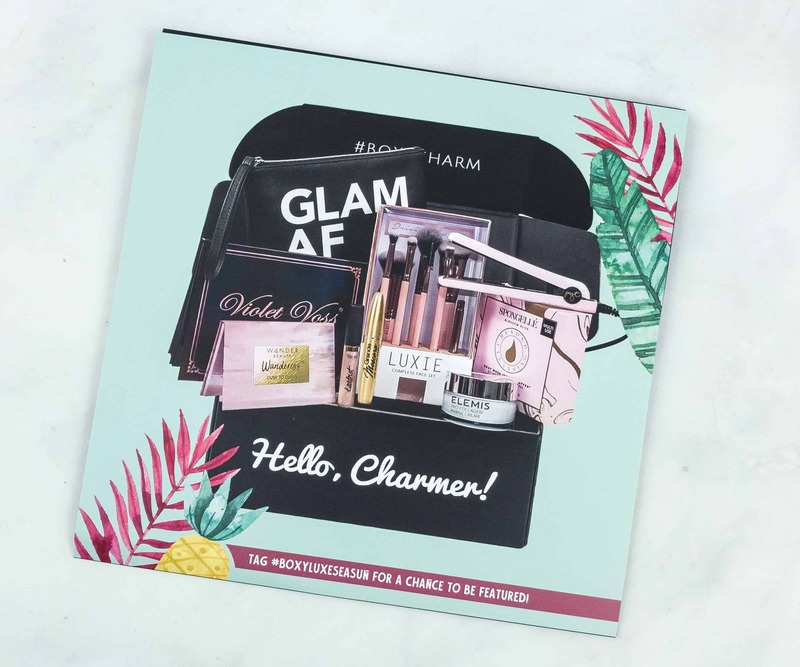 You can see the full spoilers for the regular December 2018 BOXYCHARM boxes here. 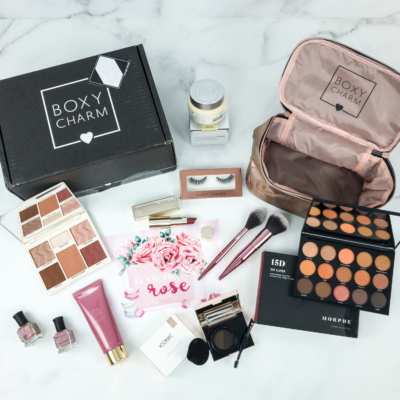 BoxyLuxe contains all the items from one of the variations except for one, and adds additional luxury items in a quarterly upgrade for an upcharge of $28.99 on your existing box once per quarter. 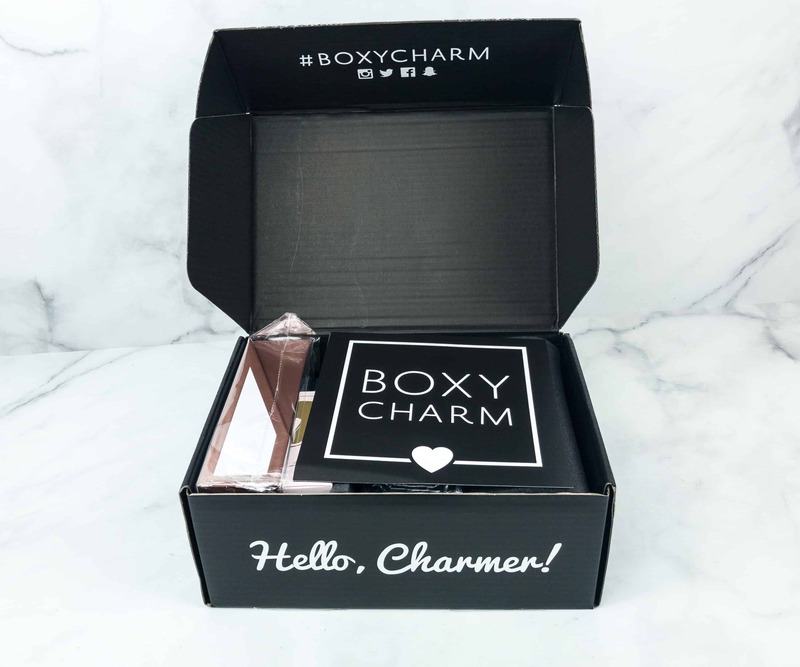 You can find more info on BoxyLuxe here. 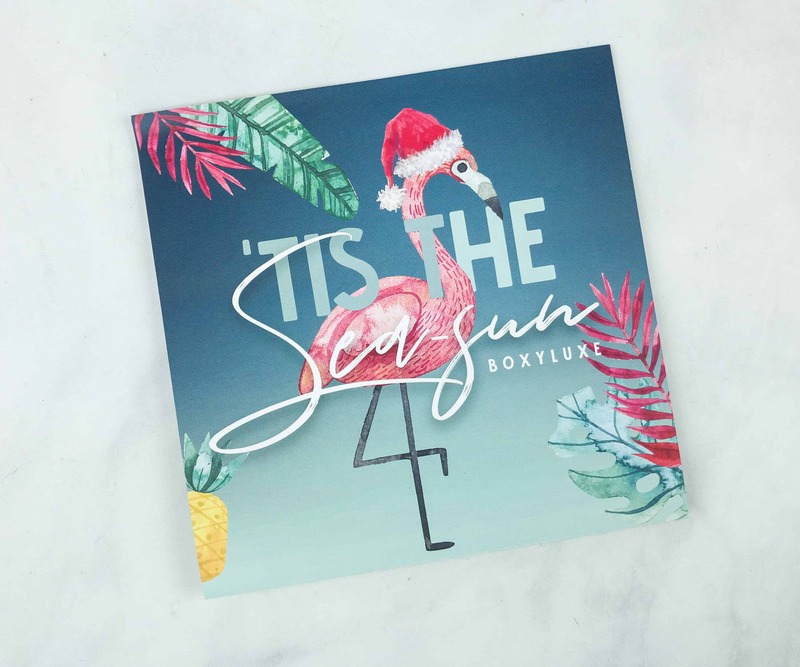 The December 2018 theme is ‘TIS THE SEA-SUN! 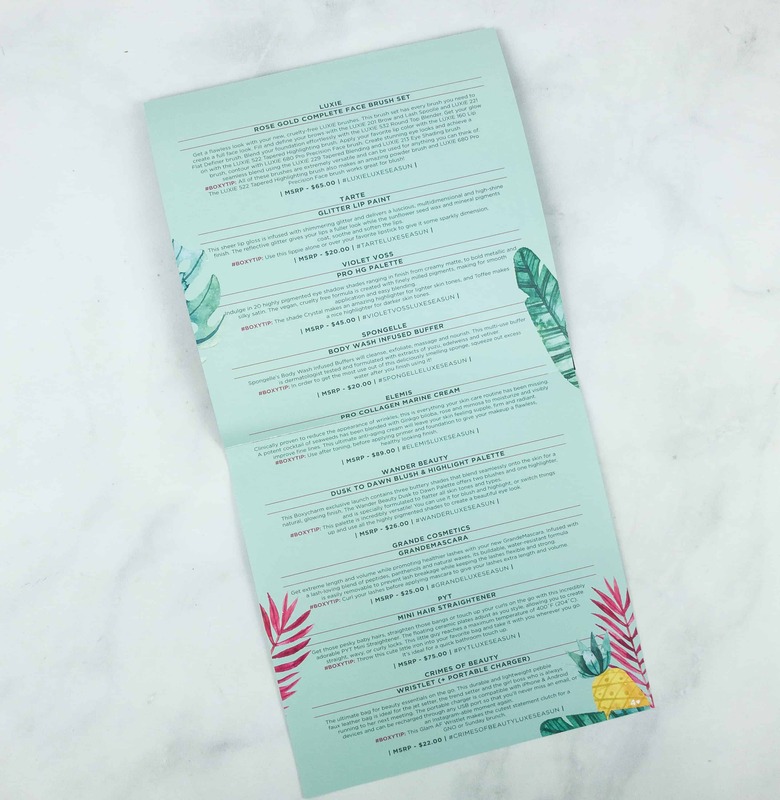 The information card lists all the products in the box. There’s a brief description for each item, including their prices. 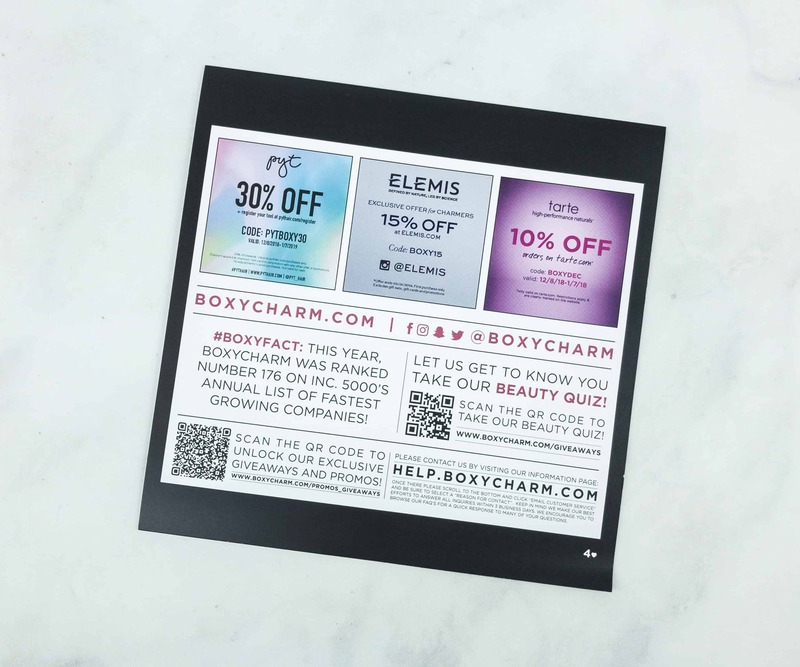 There are coupon codes for various brands as well. 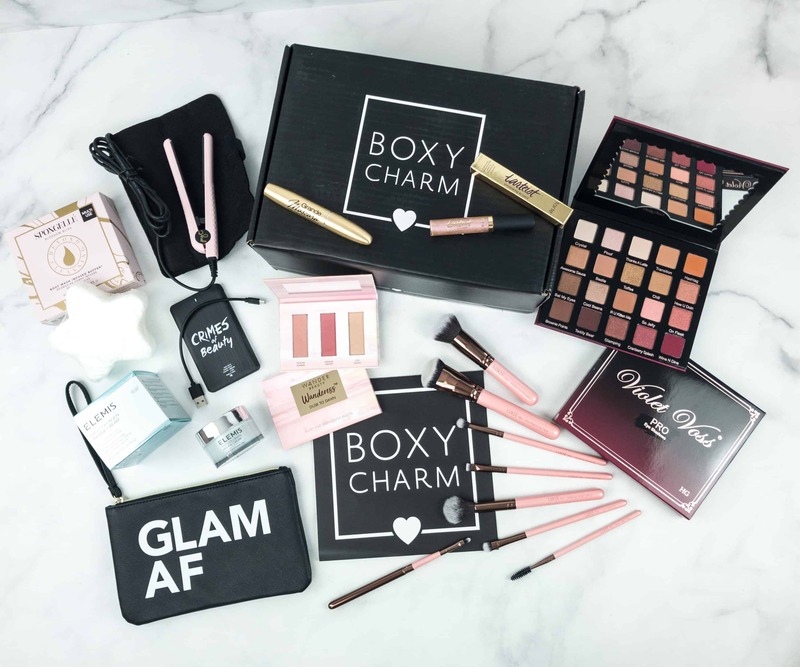 Everything in my December 2018 BOXYLUXE! 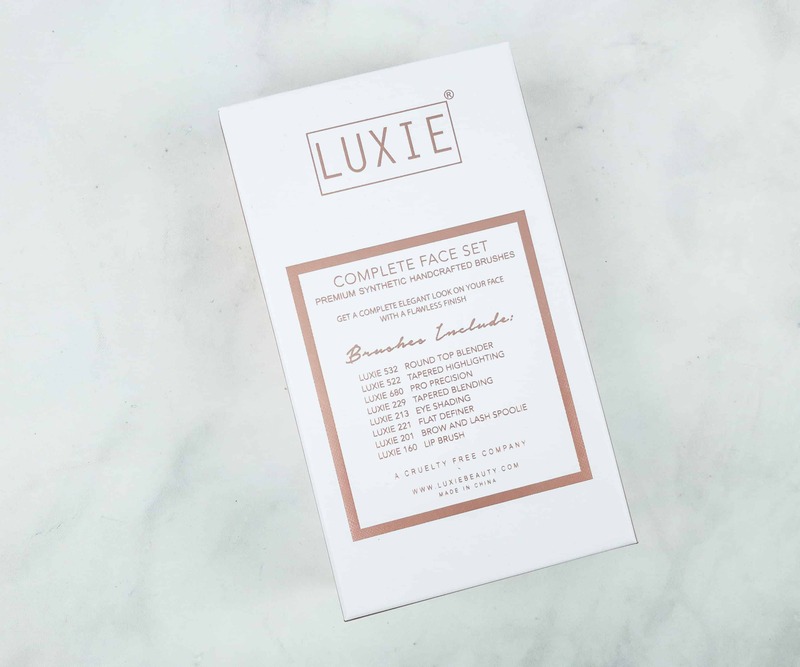 You can see the full spoilers for the different variations of the December 2018 BOXYLUXE boxes here. 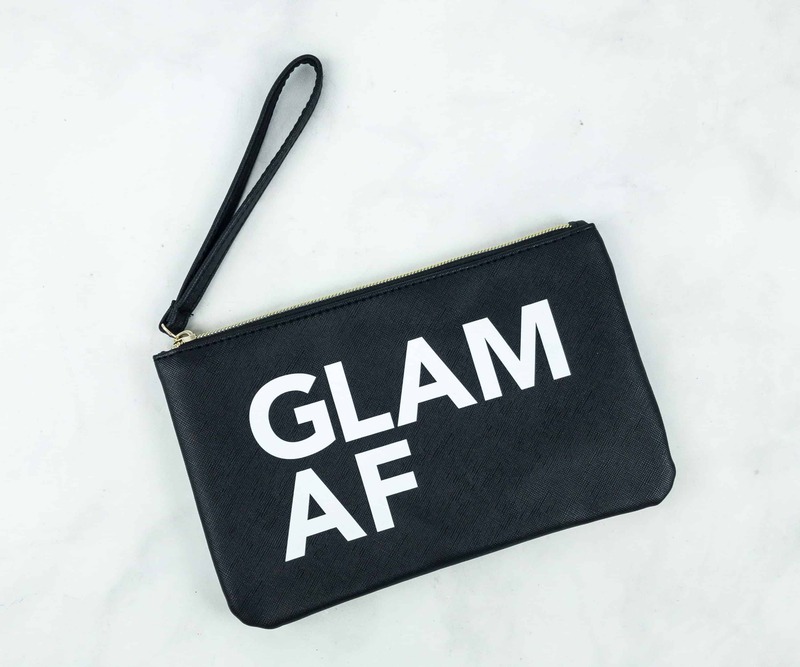 GLAM AF Wristlet (+ Portable Charger). This durable and lightweight faux leather bag is the ultimate trendsetter item for women on the go. 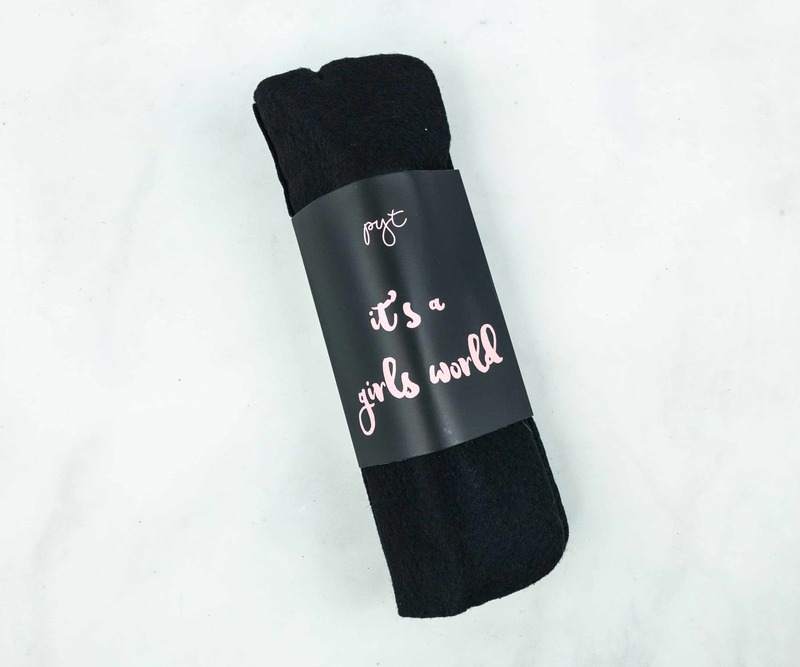 The pouch is spacious enough for a couple of beauty essentials or go-to makeup. 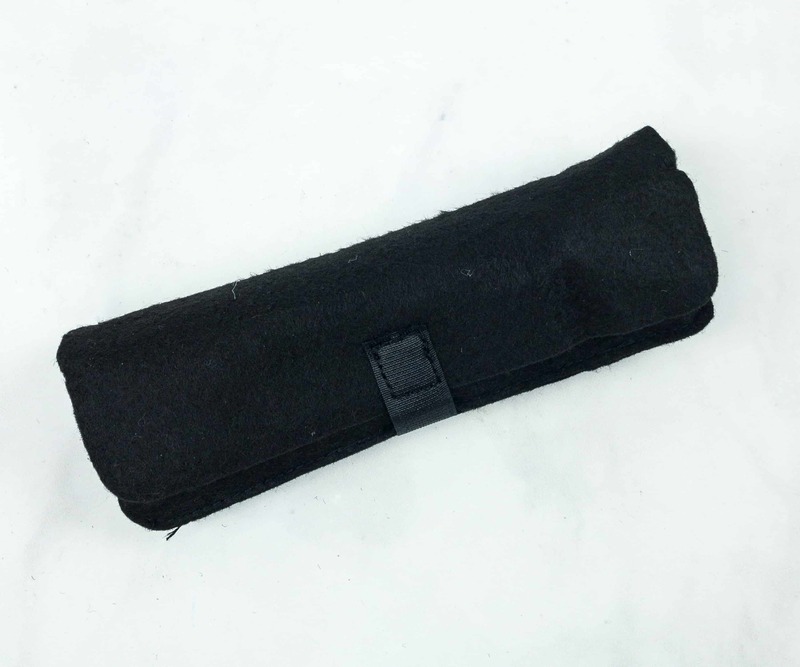 Since it comes with a wristlet, it’s easy to carry around. I also got a portable charger that is compatible with Android and iPhone. It can also be used as a dual charger connector. The detached one is the Type C Adaptor. 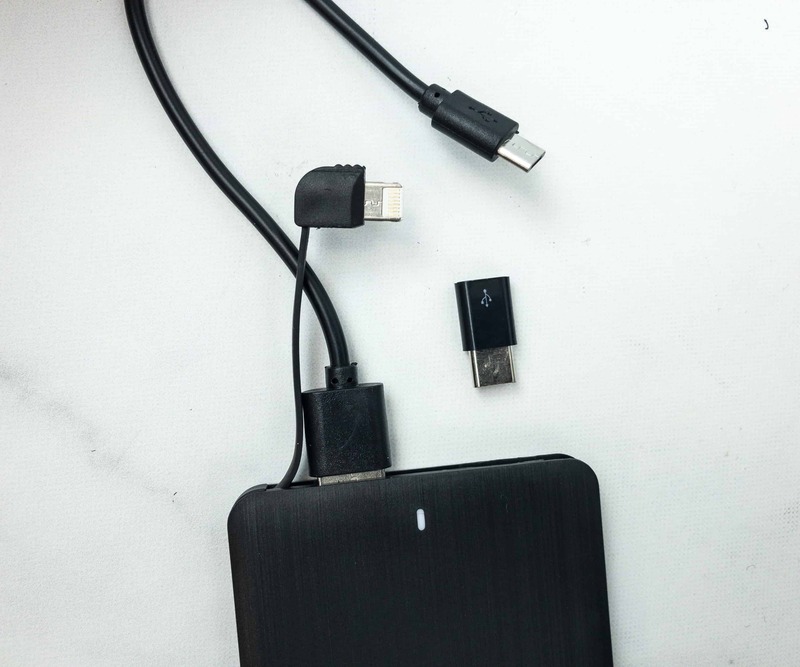 The USB wire connector for charging any digital device can be placed at the side or on top where there are USB input and output. 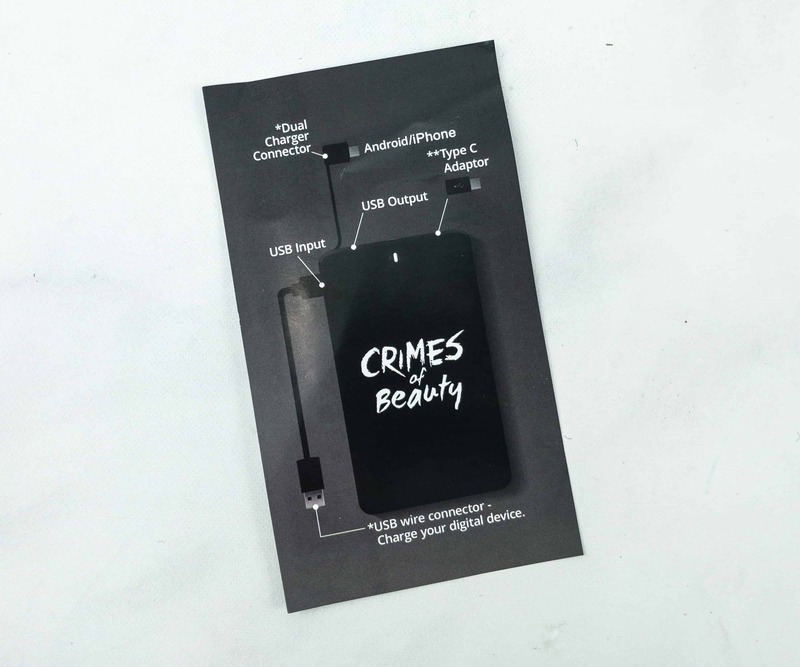 So you won’t get confused on the parts of the charger, you can refer to this card. 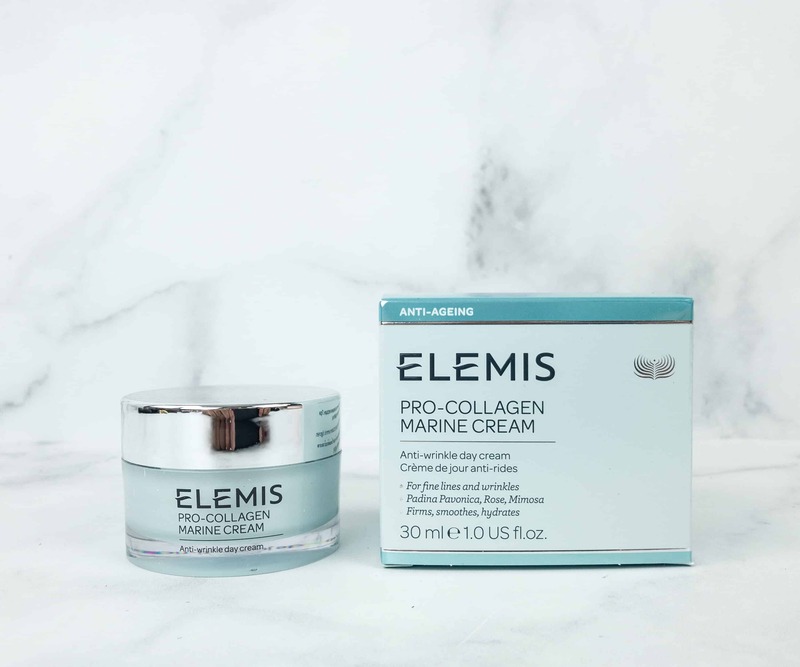 Elemis Pro-Collagen Marine Cream ($80) Made to reduce signs of aging, this day cream consists of a potent cocktail of seaweeds blended with ginkgo biloba, rose, and mimosa. It’s creamy but there’s no sticky residue after application. It also works well under makeup. 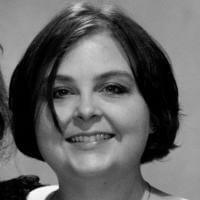 You can use it after toning and before putting on primer and foundation to have a flawless finish. 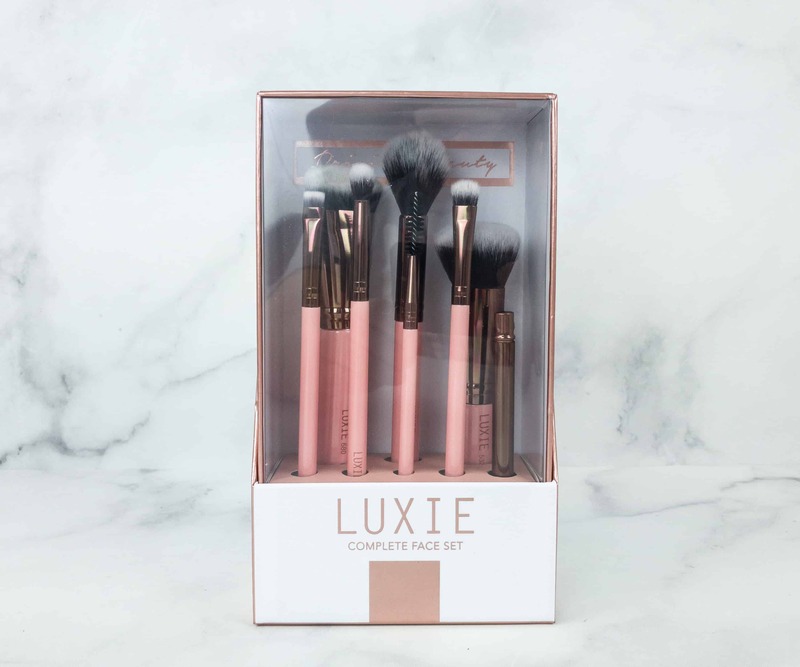 Luxie Rose Gold Complete Face Brush Set ($65) First things first, I like how these were packaged. The brushes are propped up and easily distinguishable. 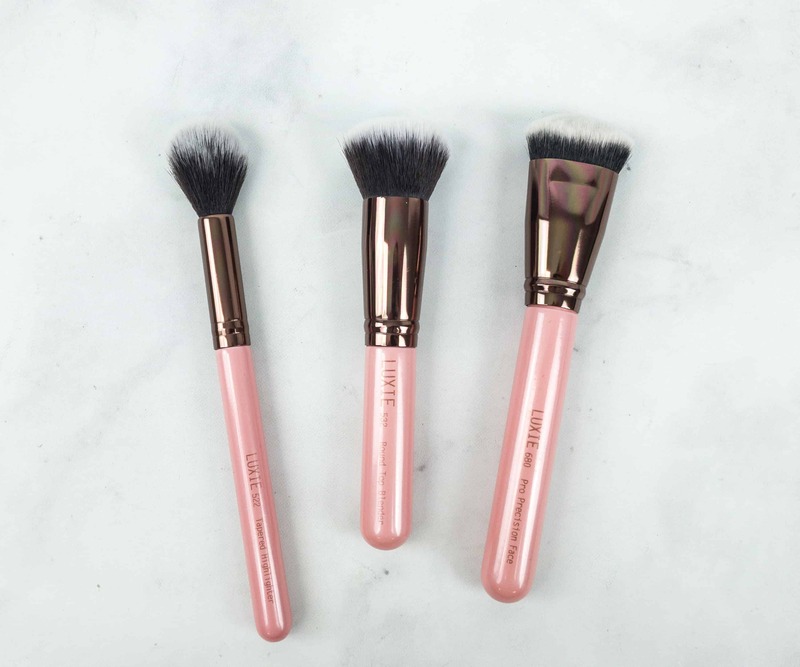 These cruelty-free, luxe brushes are enough for a full makeup routine. The handles are in pink and rose gold. Starting from the left, there’s Luxie 522 which is a tapered highlighting brush. It can also be alternatively used as a powder brush. Next is Luxie 532, a round top blender for a seamless foundation application. The third one is Luxie 680, a face brush for contouring. 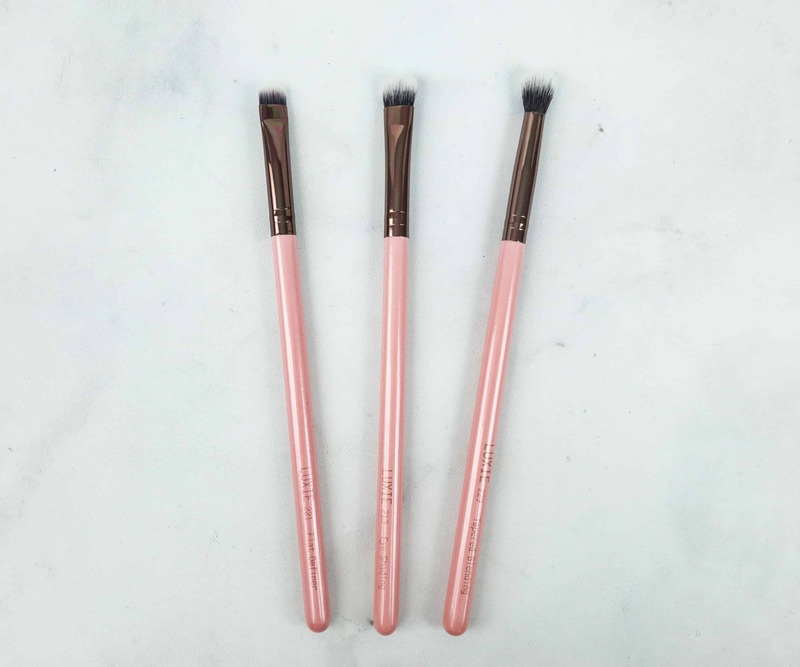 These three brushes almost look identical! 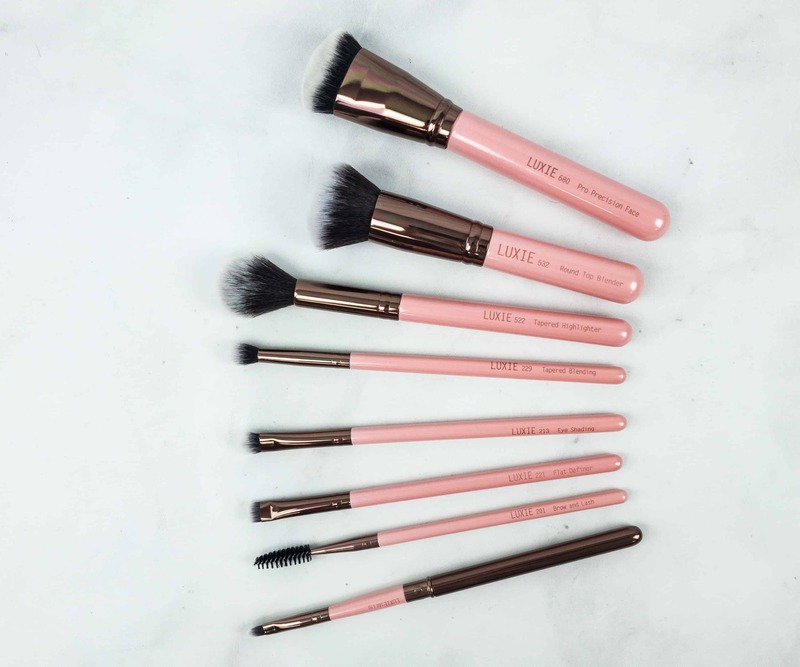 Luxie 221 is a flat definer brush, while Luxie 213 is a shading brush and Luxie 229 is a tapered blending brush. All of them can be used to define and make stunning eye looks. The Luxie 160 lip brush separates for easy storage. 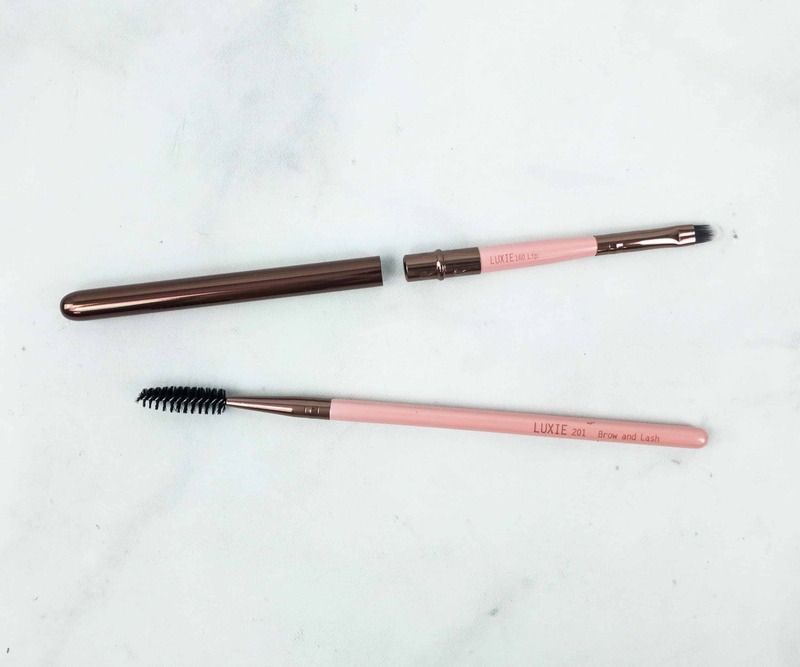 With the Luxie 201, we can fill and define our eyebrows with brow and lash spoolie. 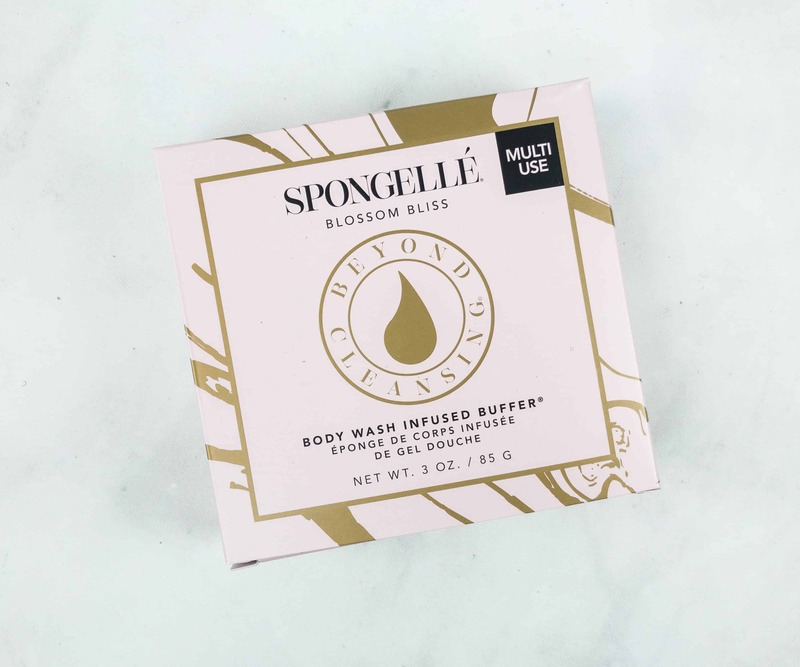 Spongelle Body Wash Infused Buffer in Blossom Bliss ($20) This body-wash infused buffer is a Spongellé and BoxyCharm collaboration. The sponge smells fantastic! It creates a good lather and it can last for at least 14+ washes. 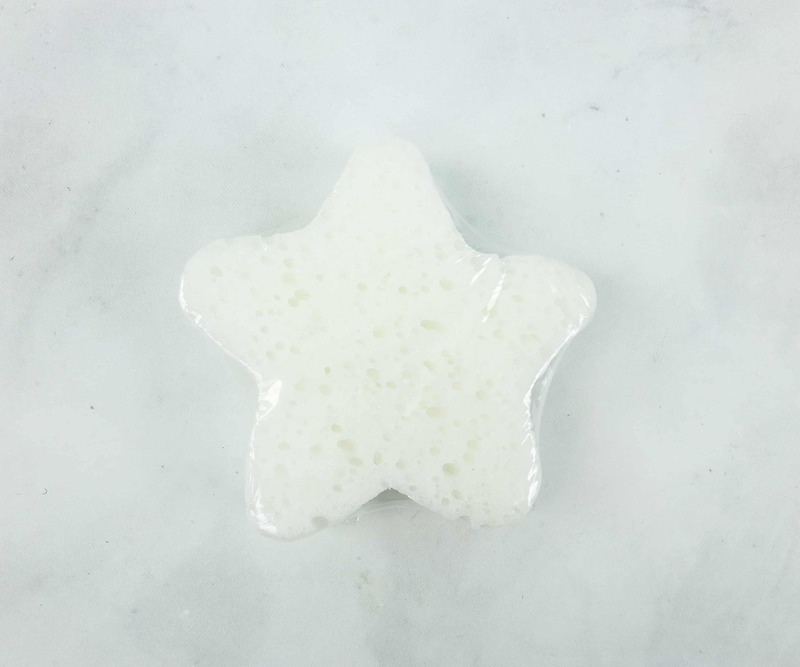 It helps cleanse, exfoliate, massage, and hydrate the skin. Using this felt like a spa-like pampering experience in the comfort of my own home. The scent is a yuzu, vetiver, and edelweiss combo. Bliss! 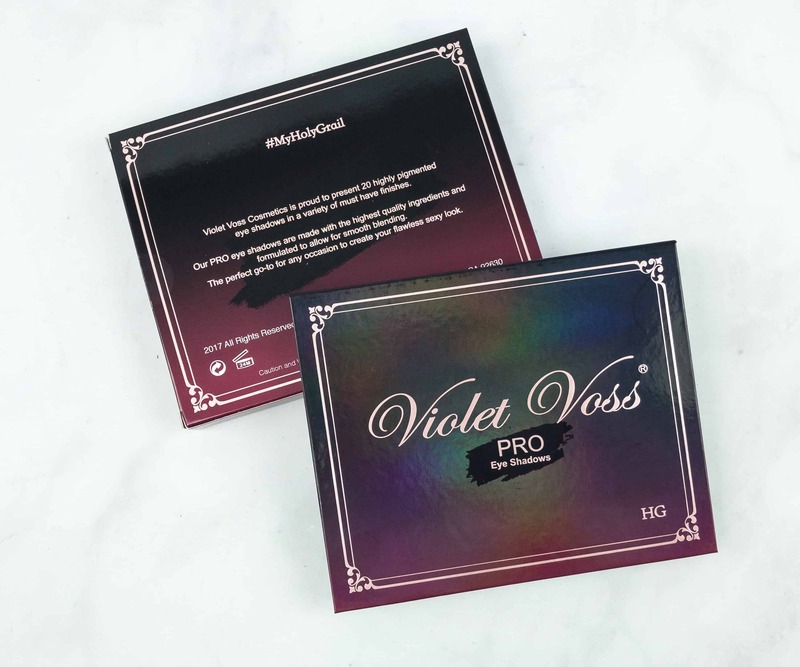 Violet Voss Pro HG Eye Shadow Palette ($45) It’s a vegan, cruelty-free eyeshadow palette created with finely milled pigments that go on smoothly and blends effortlessly on the skin. The crystal and toffee shades can be used for highlighting. The 20 eyeshadows show a range of finish. 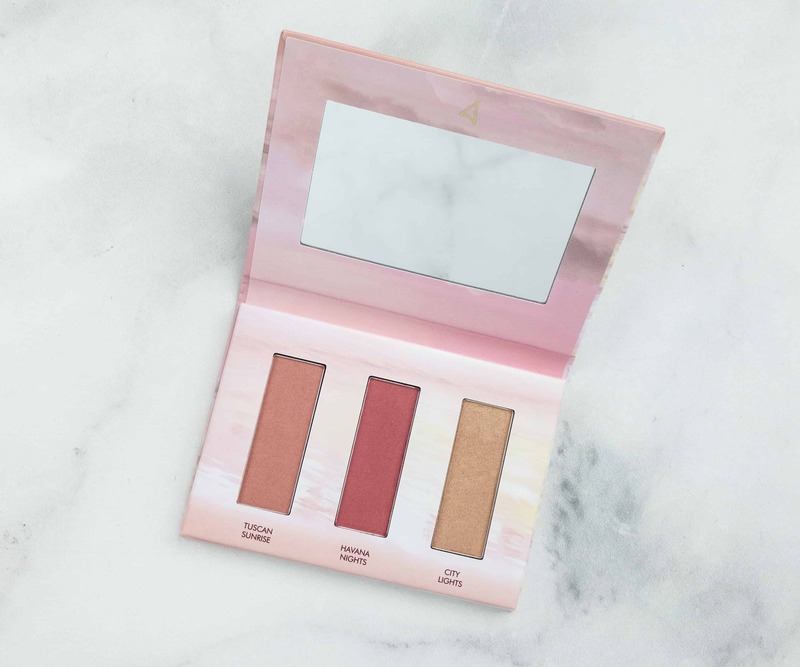 The palette has creamy mattes, bold metallic, and silk. 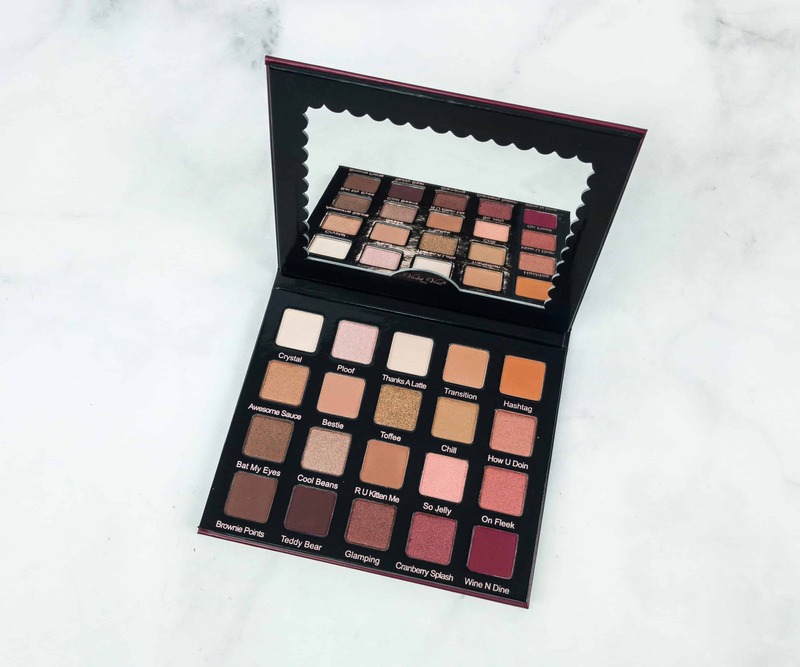 The metallics are creamy, the mattes aren’t streaky, it has everything you want from a solid do everything Holy Grail palette! 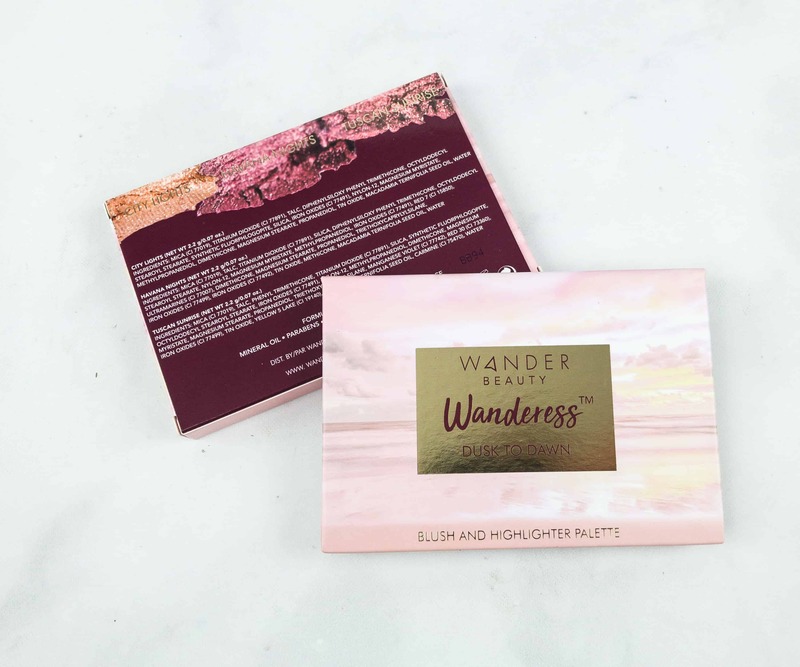 Wander Beauty Wanderess Dusk to Dawn Palette ($26) The palette has buttery shades that blend nicely into the skin, leaving it with a natural, glowing finish. It has two blushes and one highlighter. 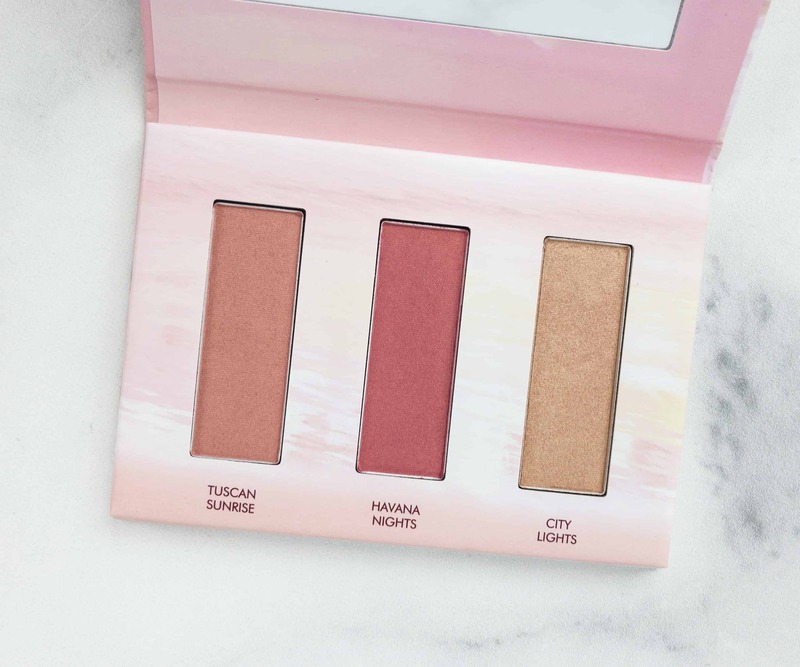 Tuscan Sunrise is a peachy shade, Havana Nights is a pink shade, and the City Lights is a bronze shimmer shade. These pigments are specially formulated for all skin tones and types. 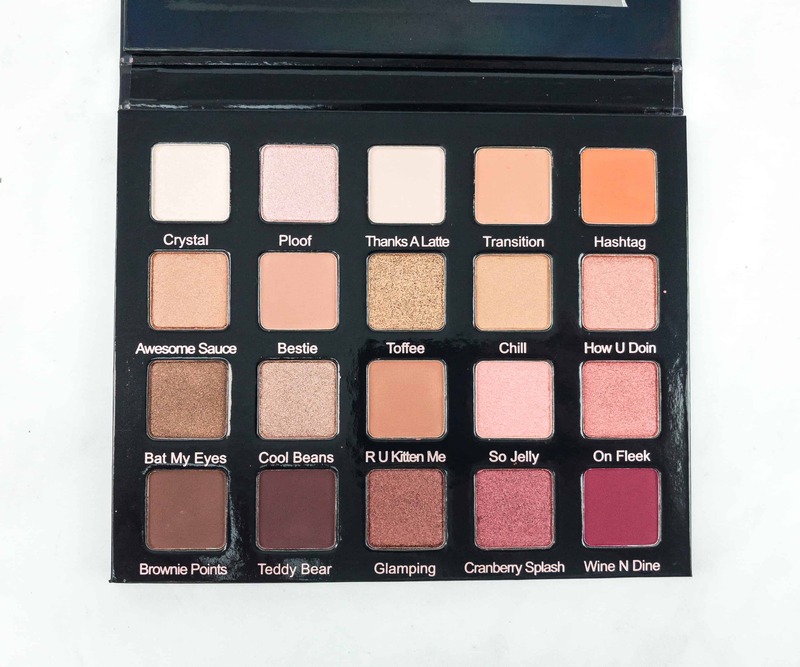 I love the formula because it has a strong staying power and it doesn’t look overdone! 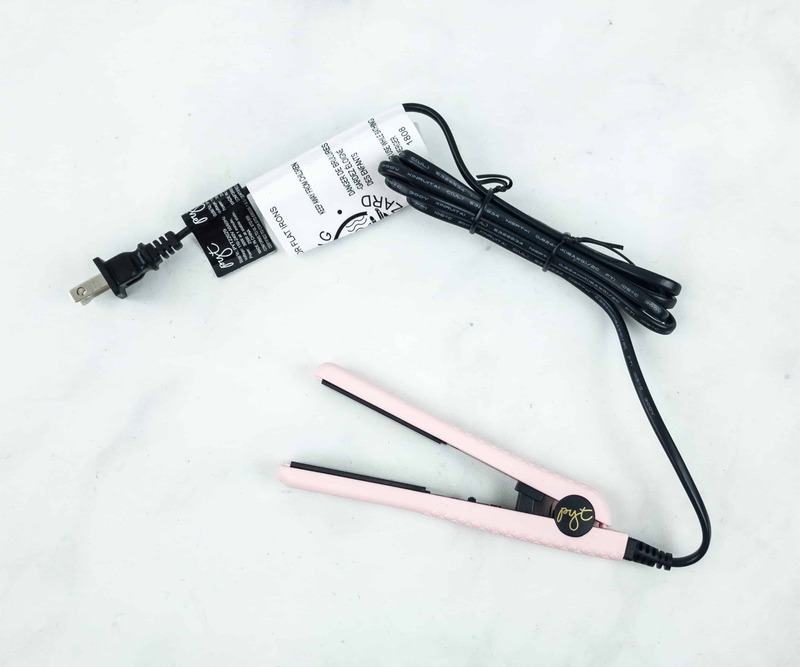 PYT Mini Ceramic Styler ($75) This ceramic styler is so cute. 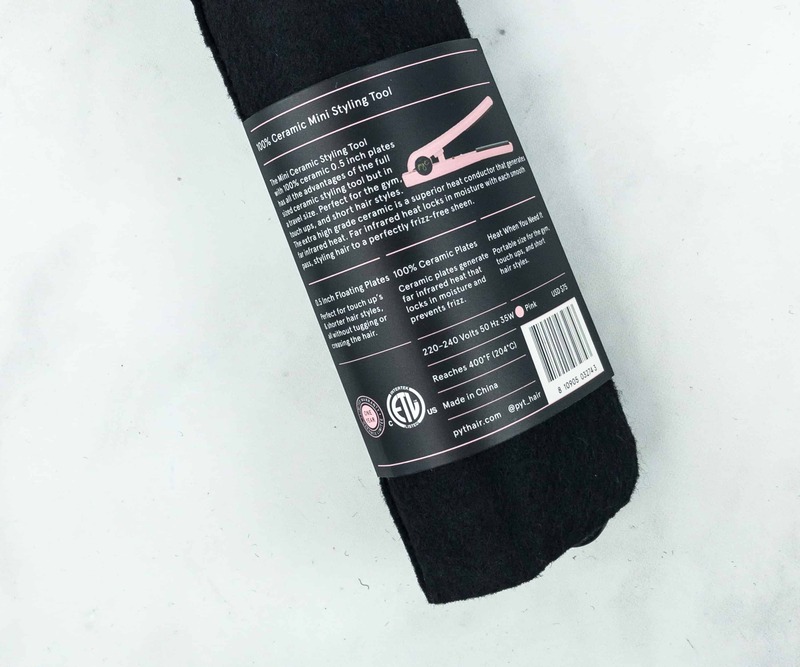 It’s the perfect hair styling tool for travelers! 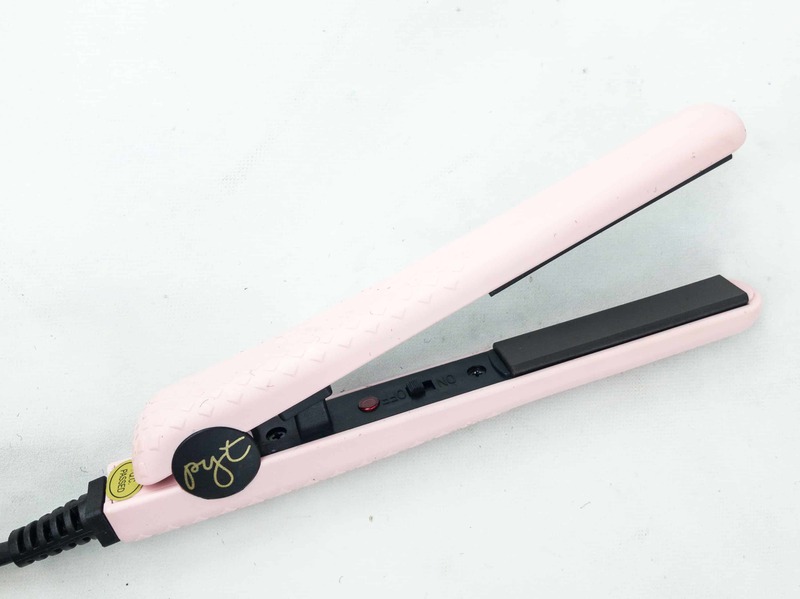 It lets you manage your hair in any way you want, whether straight or curly. 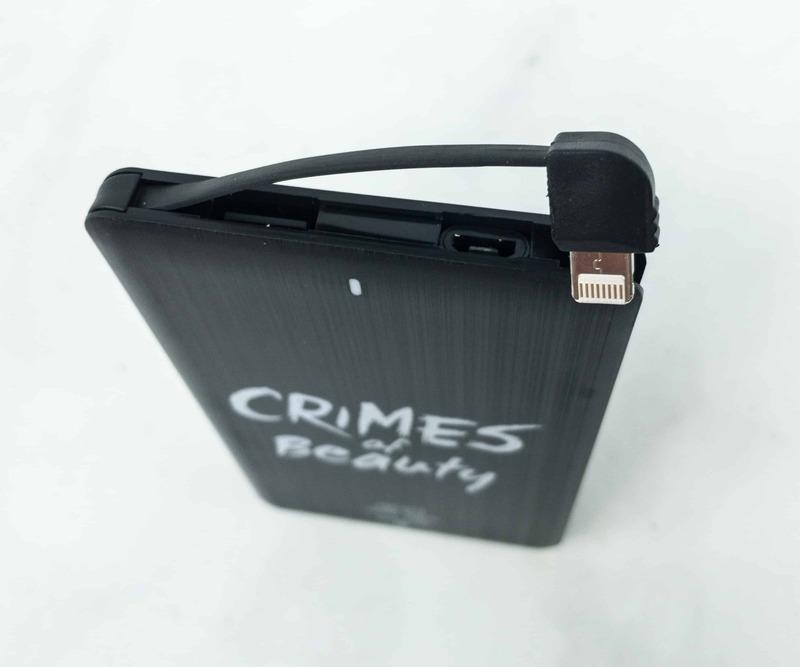 It comes in a very compact sleeve that secures the ceramic styler well. It’s small but handy. It has long cords so you can use it more comfortably. The versatility of the styles it can create is because of the floating ceramic plates that adjust as you use it. 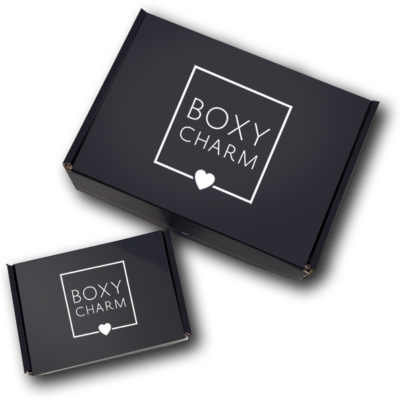 Boxyluxe subscribers had a chance to select their color – and I really thought it was a bummer that I didn’t get my color selection (purple). 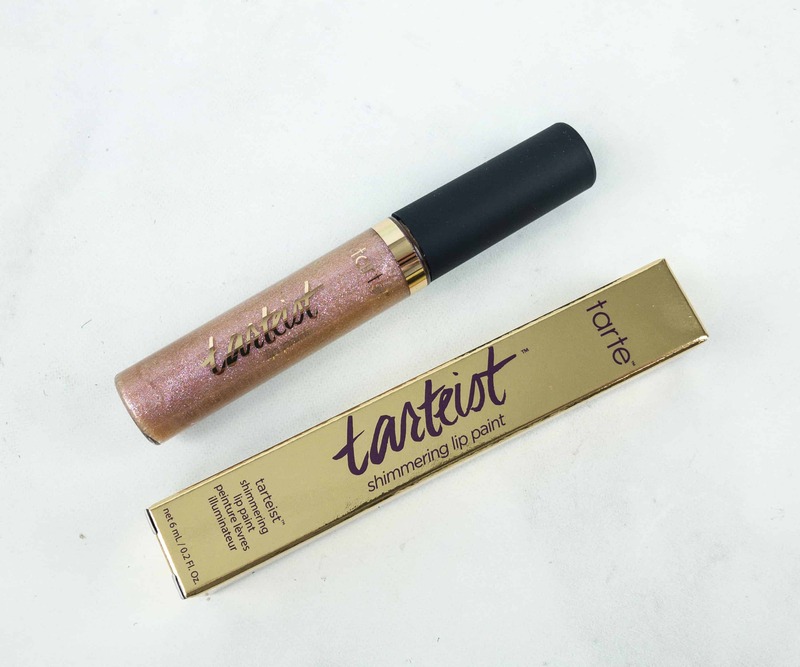 Tarte Cosmetics Tarteist Shimmering Lip Paint ($20) It is a shimmery lip gloss that makes the lips luscious, fuller, and multi-dimensional because of the reflective glitter. 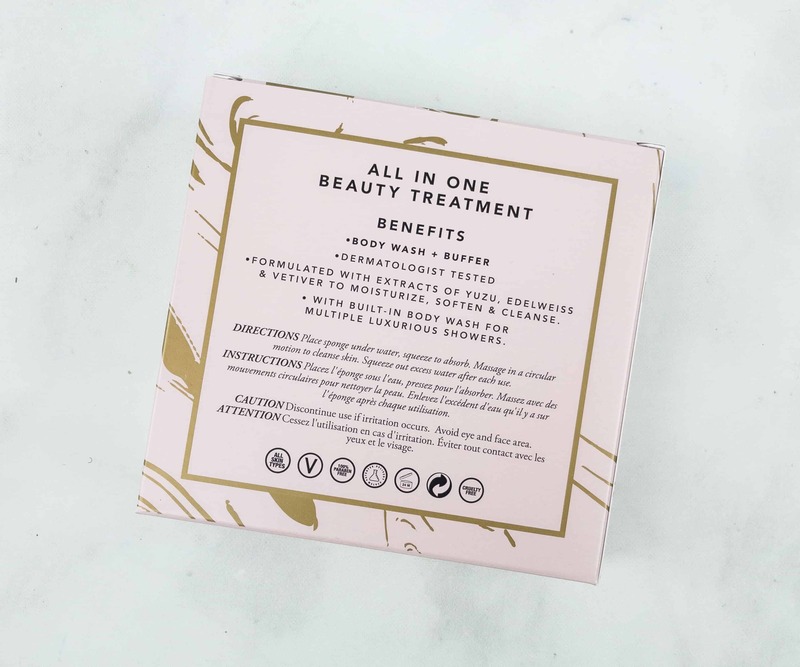 The formula is also hydrating because it contains sunflower seed wax and mineral pigments. 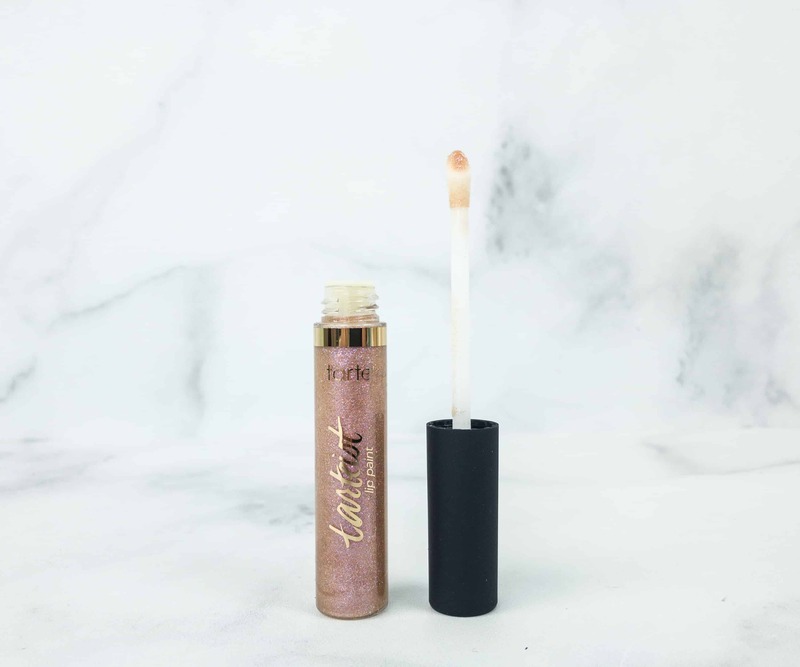 You can use it alone or over a lipstick to give it a shimmery twist. The color is everything! 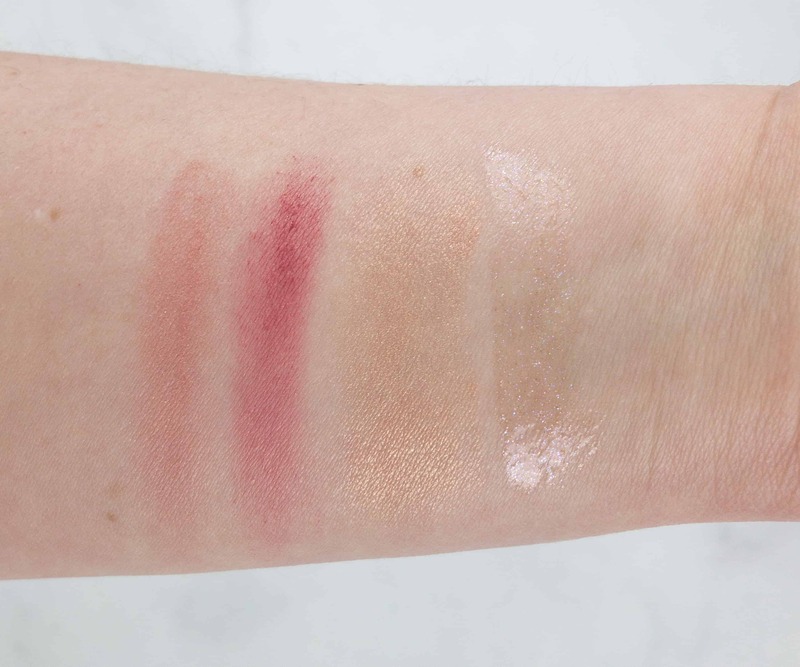 Here are the swatches of Wanderer Beauty Wanderess Dusk to Dawn Palette and the Tarte Lip Gloss. 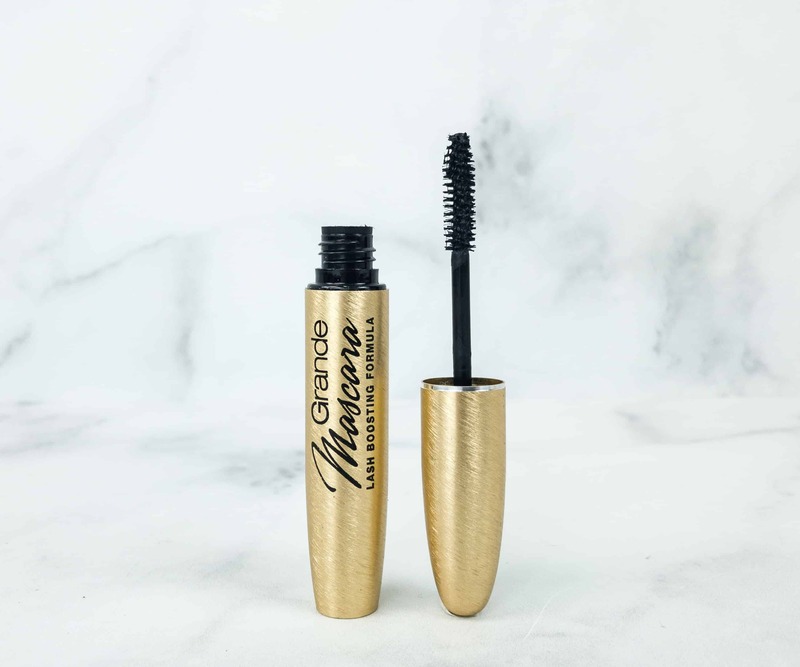 Grande Mascara ($25) Infused with a lash-loving blend of peptides, panthenols, and natural waxes, this formula brings length, volume, and healthier lashes. It is buildable and water-resistant as well. For best results, curl your lashes first before applying the mascara. I love the box this month because I got more than $300 worth of items! A box of luxury indeed! Boxes usually send 2 or 3 brushes but not the whole set. 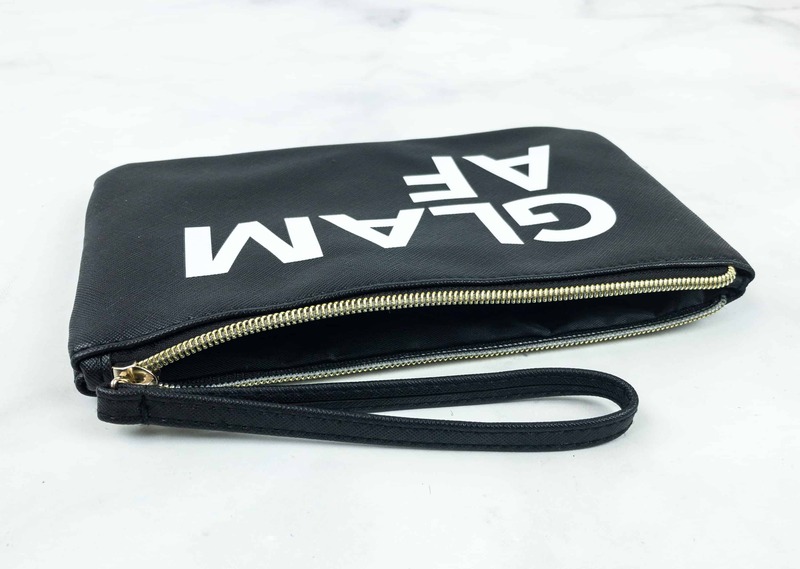 The wristlet is fun and I guess we can look forward to some sort of bag each quarter. 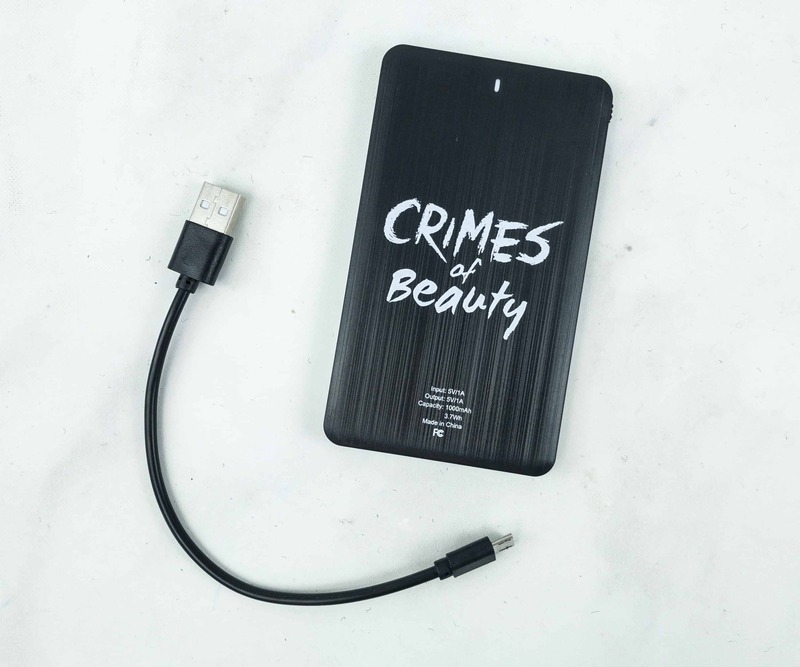 The portable charger and the portable ceramic mini styler makes the life of an adventurous woman so much easier. We also have not one but two palettes. 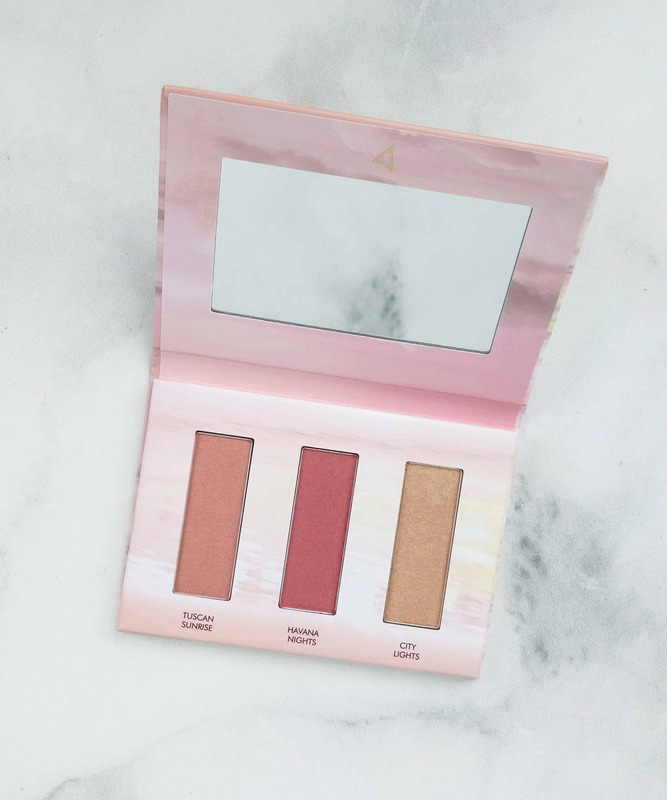 One is a blush and highlighter palette (that can work as an eyeshadow too) and a 20-shade eyeshadow palette. We have no excuse not to get dolled up. They also included a sponge that cleanses and exfoliates at the same time. To complete the look, they included a Tarte Lip Gloss and volumizing Grande Mascara. 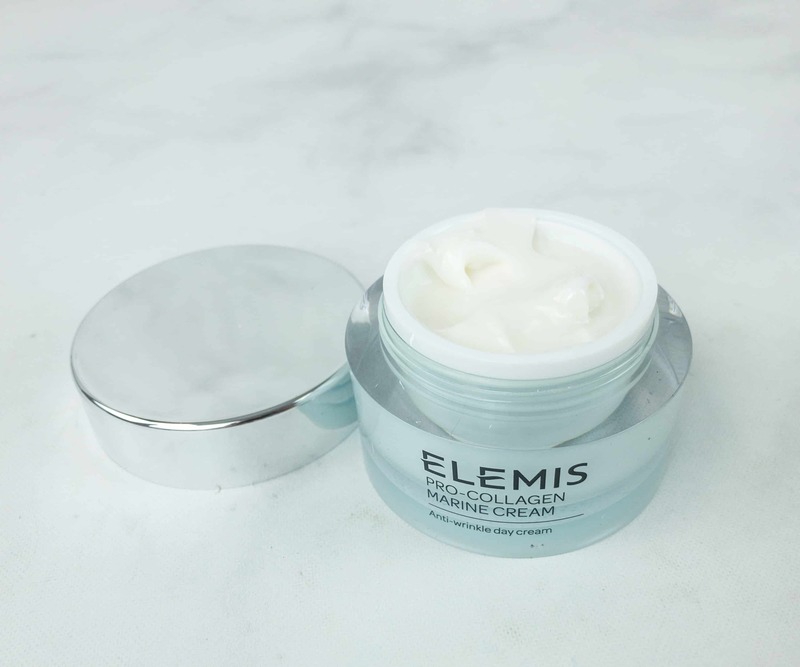 They gave skin care as well from Elemis. 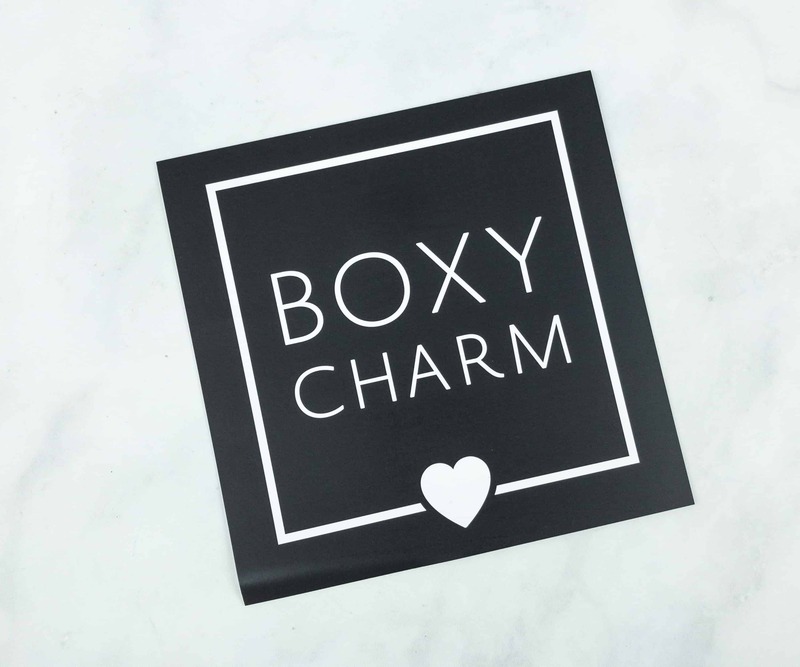 I love the box and I’m looking forward to bigger things for Boxycharm this 2019.